Lisbon is a thousand and one cultural and architectural sights place, beautiful nature, modern and ancient monuments that attract people from all over the world every year. Moreover, the capital of Portugal is a real opening for shopping lovers. Touristic city center is almost filled in of different shops, souvenir stores and boutiques. 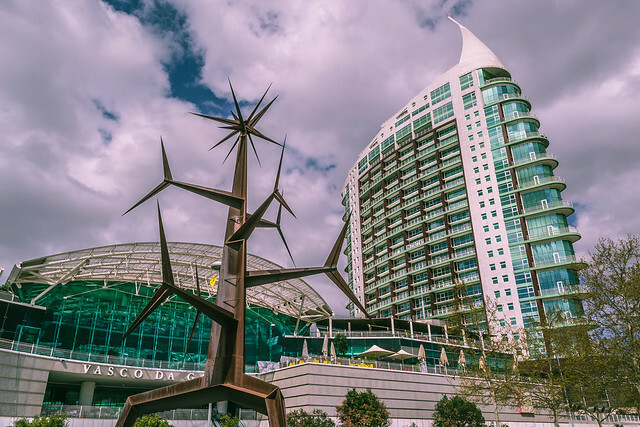 You know, Lisbon is a place where you can easily combine shopping with sightseen tour as far as they both are situated in the ancient city districts. Lisbon shops work on weekdays from 9 a.m. to 7 p.m. with a 2-houred break for siesta. Just food shops have no siesta at all. According to regulations, sales season in Lisbon, so-called Saldos, can be two times a year: winter sale (January-February) and summer sale (August-September). In this period sales can reach to 90%. 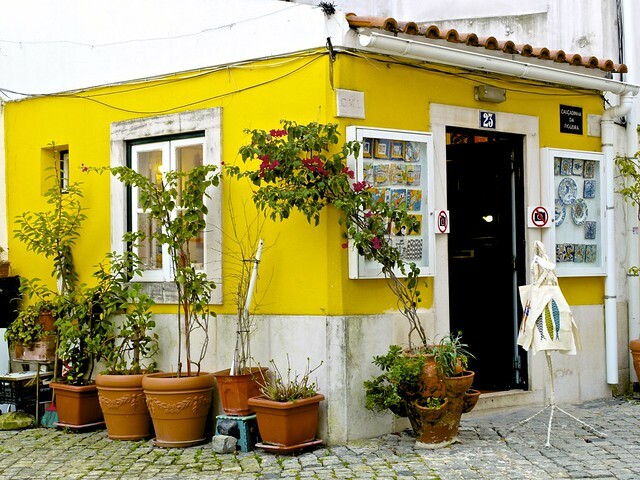 The best shopping district in Lisbon is Chiado, where street markets and chic boutiques coexist peacefully. It is recommended to buy gold and other jewelry here, as it is much cheaper. Local jewelry shops offer a unique combination of price, quality and assortment to their visitors. Historical center of Lisbon – Baixa – is one more place you should visit for traditional shopping. There are many nice little shops, where you can buy original souvenirs, made of wood, ceramics, leather, cotton, clay. Antic shops are mostly situated on Rua Dom Pedro V and Rua de Sao Bento. Colored and really big market Feira da Ladra considered as an ancient city market. It appears on Tuesday and Saturday in Alfama district. You can buy there everything beginning with antique furniture ending African decorations. This is a big shopping center, representative of a famous Spanish brand. It occupies territory of 9 floor building and includes a big number of fashion boutiques like Karen Millen, Carolina Herrera, Ermenegildo Zegna. It is not the end. You can find accessory, shoes, cosmetics, electronics, cinemas, supermarkets here. It is important to book Tax Free service before making purchases. This shopping mall is the biggest shopping center on Iberian Peninsula and one of the biggest centers in Europe. There are more than 440 shops, where you can buy clothes and shoes of popular trademarks and such democratic brands like Zara, Bershka and others, accessories of Accessorize, Furla, cosmetics, and perfumery. Your kids will be glad to spend time in Disney Store playing zone. There is also Zone cinema, 60 cafes, restaurants. This is a modern shopping center in Lisbon, which is situated next to Nation Park. It differs with its original design: There is water, flowing on the glassy roof, making effect of a big aquarium. There are many boutiques, cinema, food shop on the first floor and cafes, restaurants on the last floor of a huge building. This huge shopping center is situated in suburbs, not far from Vasco da Gama Bridge. It is very popular among locals and city guests due to more than democratic prices. Come and see! Stivali is a famous multibrand shop, where you can find clothes, shoes and accessories such brands as Balenciaga, Bottega Veneta, Cividini, Chanel, Gucci, Donna Karan, Elie Saab, Cesane Paciotti, Gianvito Rossi, Roberto Cavalli, Sergio Rossi, Zagliani, Rene Caovilla, Chloe and many others. There is also a nice stock shop Stivali, situated by the address Rua Castilho, 71B. You can get 50% sale for old collections here. This shop is very popular among Lisbon citizens. It is situated on the top of a hill. You can by everything here – fashioned clothes and shoes, cosmetics, households. This is a big shop, where you can buy lots of traditional Portuguese goods from throughout the country. So, here you meet ceramics, wooden, stony and webbed things. Frankly speaking, this is the best place for buying souvenirs. Fatima Lopes is one of the most famous design clothes shops in a whole Europe. You can see not only shop, but also a workshop, where genius models were created, and a cozy cafe. Ask about jewelry, authors collections are also available to buy. Sea Side is a Portuguese trademark of men’s and women’s footwear. The models are high quality. You can find everything you like, classis, sport or something unusual, for democratic price. Most of shops are situated all over the city, 8 of them can be easily found in the very center. Guimarães is a chain store system, situated all over the city. You can buy nice shoes for different price there. Anything you wish: women’s, men’s, sport, fashioned, home or classic – come and try it on. Leather goods. This is a visit card of Lisbon. Most popular of them are footwear, gloves, hand-made bags and many others. Their quality is really high. Come and choose something! Be sure that Portuguese shoes are not afraid of wet weather or everyday usage. Clothes. As to clothes, local shops offer to buy a lot of interesting and unusual things. It can be as Portuguese clothes, as clothes of different European brands. Speaking about locals, the most popular of them are Salsa, Dom Coletto and Lanidor. Jewelry. For those people, who are interested in what is the best Portuguese souvenir? There is one right answer – jewelry. As it was told before, the prices are more than acceptable. Ceramics. Portugal is famous of its ceramic souvenirs. If you like beautiful plates, vases, painted interior pieces – you can find it right here! Drinks. It is impossible to visit Lisbon without tasting or buying legend port wine, made of the best grapes sorts in the Northern part of the country. You can buy it in the supermarkets and in the special stores. Food. Sausages, cheese, meat and fish delicacies, seafood, olive oil, coffee and sweets – all these can be called the sights of Portuguese gastronomy. Buy it for your family and friends without any doubts. You came to Lisbon and want to see more interesting things, spending less money for transport needs. As a rule, tourists use rental car services. Everything is simple: you jump in your car, driving straight to the center of Lisbon, where you can continue your trip on foot. Taking to suburbs, your car can be also a loyal friend and helper indeed.